A stolen Harley-Davidson is returned after 42 years. Edgar Howard Johnson, Jr. still remembers the time his father picked him up from school on a Harley-Davidson (HOG). "When the kids asked me if I was going to ride on that, I told them I sure am," Johnson said this week after Customs and Border Protection agents returned the motorcycle, which was stolen 42 years ago. 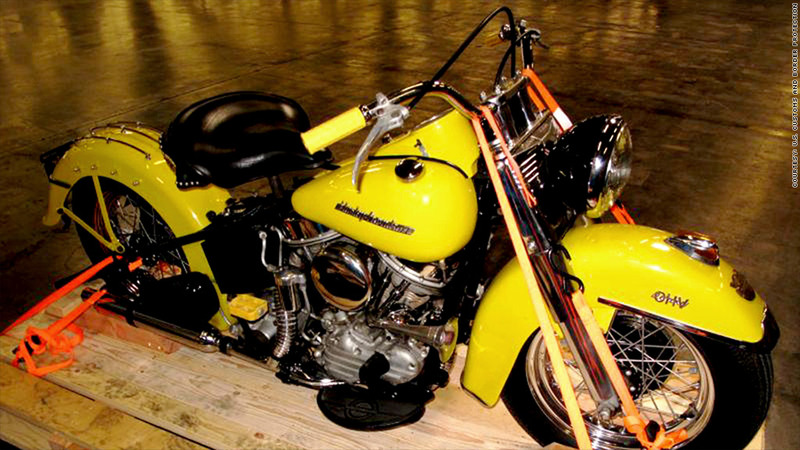 The 1954 FL Harley-Davidson Hydra-Glide motorcycle was intercepted last month at the Los Angeles/Long Beach seaport, where it was about to be shipped to Australia. Investigators with the California Highway Patrol discovered that the bike had been stolen from a police officer in North Carolina in 1972. "My dad would be tickled to get it back if he was still alive," said Johnson, whose father passed away four years ago. "I miss my dad so much. This is like a piece of him is coming back home." The Harley, worth an estimated $24,000, appeared to be in mint condition. It was green when stolen but was since painted bright yellow. 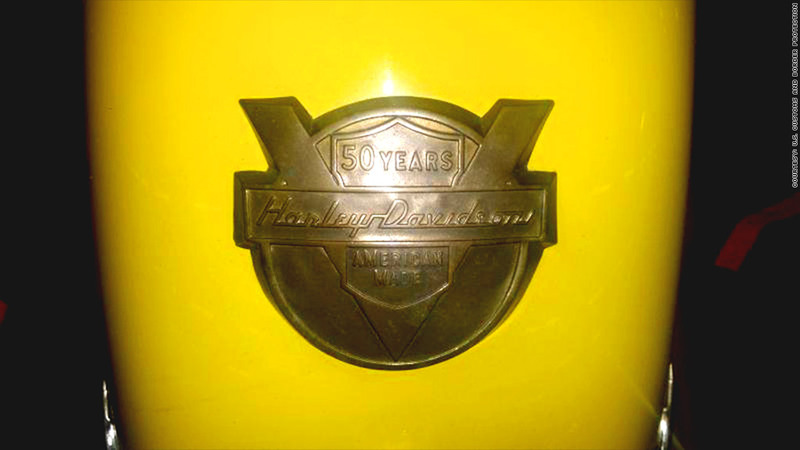 It also has a "trumpet style horn" and a medallion on its front fender commemorating Harley-Davidson's 50th anniversary. Finding and returning long stolen vehicles are starting to become du jour. 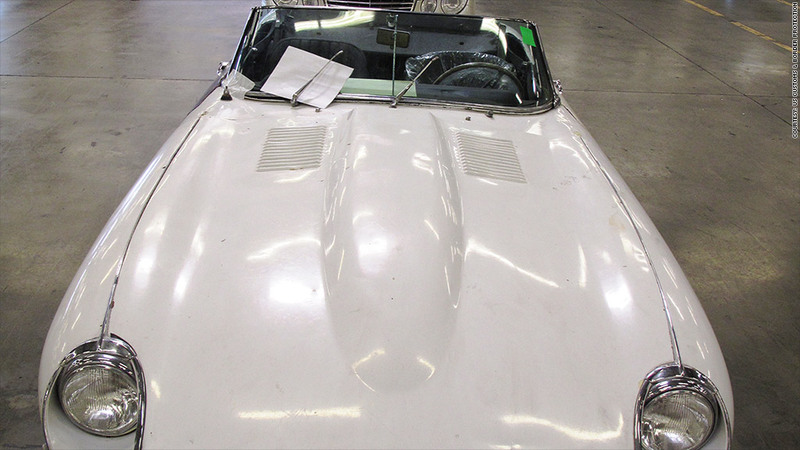 Only recently, customs agents returned a 1967 convertible Jaguar XKE to its rightful owner 46 years after it had been stolen. The two-door convertible was discovered in a container that was going to the Netherlands.